If you're even remotely familiar with J.R.R. 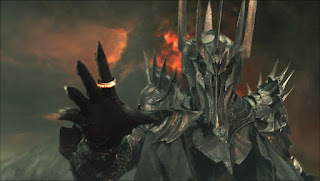 Tolkien's The Lord of the Rings, you know that Sauron is the bad guy. He's basically evil personified. So what could we possibly learn about holiness from him? "Just do the opposite of what Sauron does, and you'll be a saint?" Well, that's not exactly what I'm talking about.